In What ways is Power Press Useful as a Workshop Machine? The power press is basically a versatile sheet metal machine that is utilized to cut, bend, form, and press sheet metal into a variety of shapes and sizes. This multi tasking equipment involves a press mechanism, where pressure is applied to compress and shape the required material. Due to the development of technology a wide range are now readily available in the market. It is also useful as a workshop machine since it has simplified the metal bending tasks in many industrial segments. These days It is manufactured as per standard, as well as customized specifications; and supplied in the local and the global market. The C type and pillar type power press are the most popular types. They are actually termed as per the design of their frame. 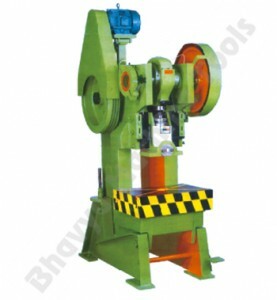 The C type power press is an exceptional workshop machine that is used as a pressing machine in several industries. It consists of a frame that looks exactly like the letter C. This design provides maximum floor space for the machine operators. Thus they can freely move around the workplace. It has numerous salient features and also includes a wheel stand and pressure gauge, which are used for drawing, straightening, and assembling tasks. It is highly suitable for automobile, agriculture, bicycle, engineering, and electrical industries; for trimming, straightening, pressing, assembling, and disassembling of various machine components. The pillar type power press is constructed on two pillars, and has a bed in the central part for enforcing mechanical or hydraulic pressure in order to bend the hard metal sheets. The pillar type design of these presses enables them to provide additional rigidity to the machine, particularly on the parts that receive maximum stress and jerks. This helps to minimize the chances of deflecting the work piece and thereby deliver relatively better results. This unique sheet metal machine is utilized in the workshop for a number of metal working operations. The other types include hydraulic machine, punch press machine, and H type power press machine. A hydraulic press uses a hydraulic cylinder for generating compressive force, which is the hydraulic equivalent of a mechanical lever. It is mainly used for hydro forming. The industrial hydraulicis a sturdy, energy efficient and durable machine that is used for hydraulic applications in numerous industries. 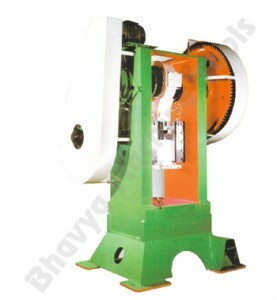 The power press is mainly used in heavy industrial applications. Hence it is generally preferred for metal compressing and forming tasks on a large scale in various manufacturing units. It helps to precisely and quickly execute bending and shaping of different metals. It machines are commonly used for heavy duty tasks in sheet metal machinery works, engineering workshops, and industrial units. It is also utilized for mass production of ductile materials like mild steel. They are even useful in a number of factories, engineering plants, and allied industrial establishments. The objective of this article is to educate readers for power press which can be the most useful workshop machinery for cutting, bending, forming and pressing the sheet metal into variety of shapes and sizes with this multi tasking machine tools available in different categories like C type, pillar type and hydraulic power press. This entry was posted in C Type Power Press Machine, Hydraulic Power Press, Pillar Type Power Press Machine, Power Press Machine by Yash Shah. Bookmark the permalink.